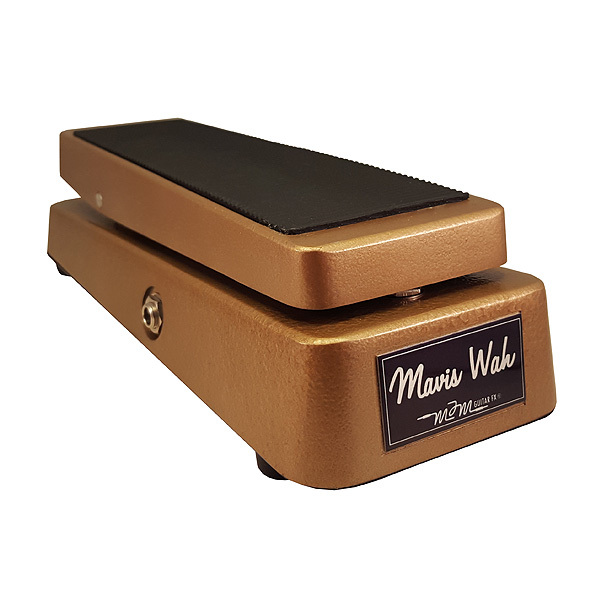 Have you ever heard of a germanium transistor loaded wah? Probably not, as only a small amount were ever produced by a certain famous British amplifier company. After trying a few original units, we definitely felt that sound needed to be brought back and here it is: our Mavis Wah. Thick, throaty and extremely dynamic. The NOS germanium transistors we use definitely add something extra not experienced with a traditional silicon transistor-based wah. Every inductor is specially handwound in-shop with vintage correct magnet wire, used in conjunction with some carefully selected vintage components and an Icar-styled potentiometer. All these combined efforts yield a very unique and special-sounding wah.